What GPH Pump Do I Need? 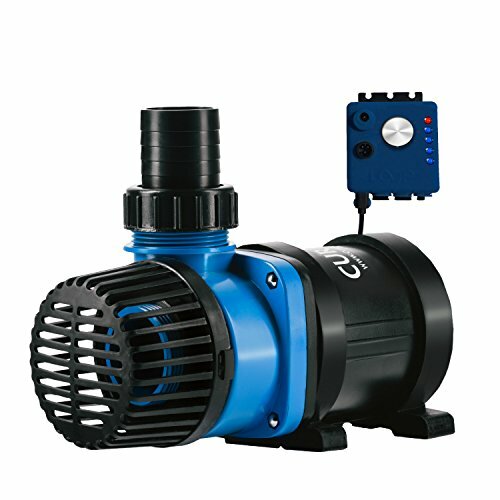 What Size Pump for a 55 Gallon Aquarium? What Size Pump for a 75 Gallon Aquarium? What Size Pump for a 90 Gallon Aquarium? What Size Pump for a 125 Gallon Aquarium? What Size Pump for a 150 Gallon Aquarium? One of the first things you will need to do when you get a new aquarium is to figure out how large of a pump you will need. 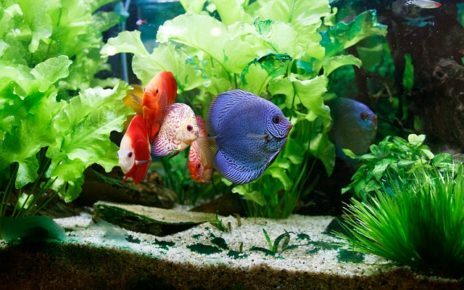 A good rule of thumb to follow is that a pump should have a flow rate of 5 GPH (gallons per hour) for every gallon of water in the aquarium. For example, if you have a 29-gallon aquarium you will need a pump with a flow rate of at least 145 GPH to effectively turnover the tank. If you want to know how large of a pump you need for your tank try the aquarium GPH calculator located at the top of this article. 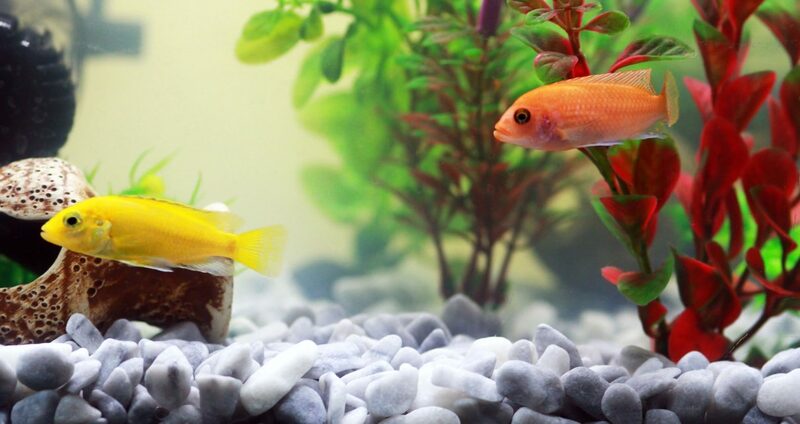 In order to provide the proper amount of water movement in a freshwater aquarium, you will need a pump that has a flow rate of 5 GPH (gallons per hour) for every gallon of water in the aquarium. 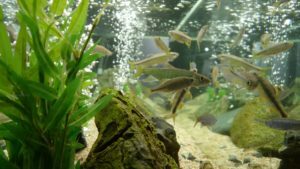 If you have a freshwater aquarium that is overstocked then you might need a more powerful pump to handle the increased bio-load in the aquarium. 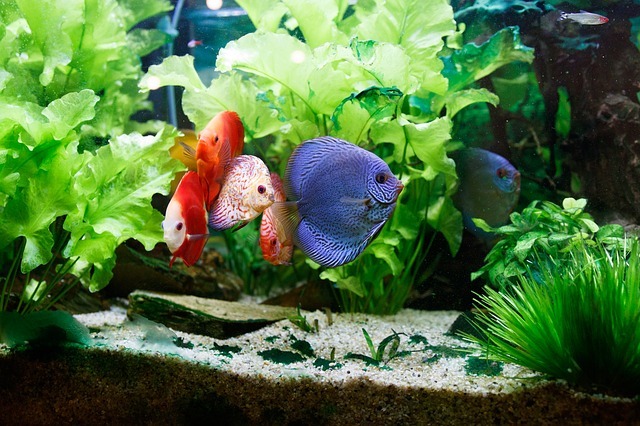 Providing adequate water flow in a planted tank is important for both the plants and the fish. In order for plants to access CO2 (carbon dioxide) and nutrients their needs to be a gentle current in the water. 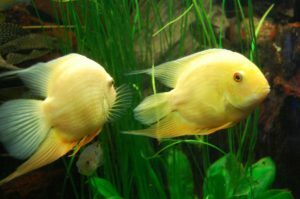 A good flow rate for a pump in a planted tank is around 4 GPH (gallons per hour) for every gallon of water in the aquarium. 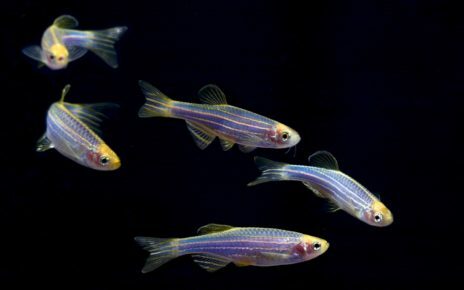 While a gentle current is necessary to transport nutrients throughout the tank, that doesn’t mean you need a powerful pump in a planted aquarium. An overpowered pump can actually cause the loss of CO2 due to excessive surface agitation. A strong flow of water can also harm delicate plants, due to the fact that a powerful current can rip plants out of the substrate. Excessive water flow can also put stress on the plant’s leaves, which can cause damage to the plant, or it can cause the plant to become stunted. 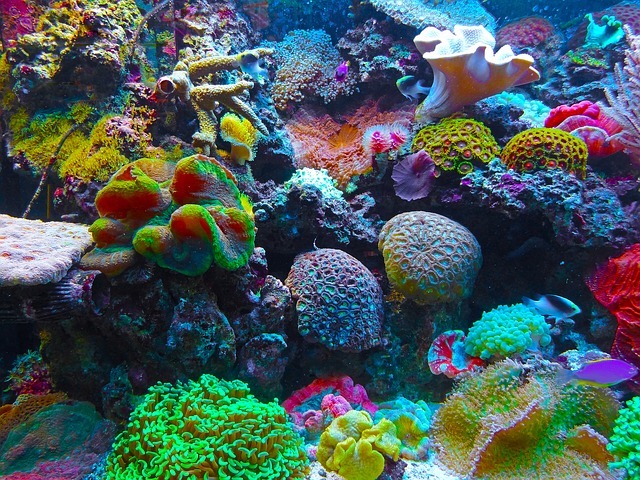 Saltwater aquariums need more water flow than a similarly sized freshwater aquarium. A saltwater aquarium will need a pump with a flow rate of at least 6-7 GPH (gallons per hour) per gallon of water in the aquarium. 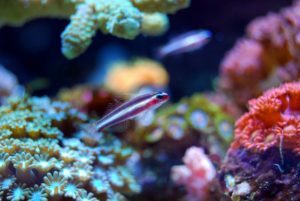 Saltwater aquariums need a more powerful water flow for both proper filtration and for its inhabitants. 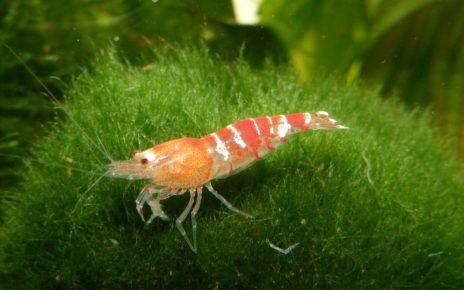 Having a strong current in a saltwater tank mimics the natural environment that most marine fish and invertebrates have evolved for. A strong current gives fish something to swim against which can keep them physically and mentally stimulated in their artificial environment. How much flow you provide in a reef tank is also important since corals are dependent on water flow to get access to trace elements. 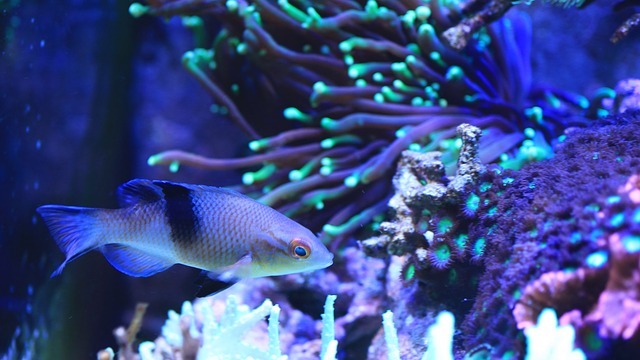 Providing a good current in a reef tank will also allow coral to absorb bits of food as the water flows over and through their body and polyps. Water flow is also important when it comes time for coral to spawn since the free-floating polyps are transported through the water. 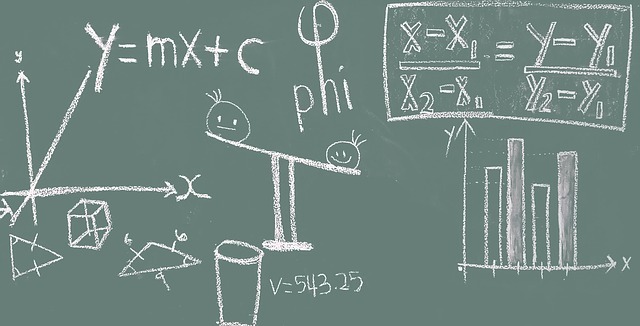 Before we go over how to calculate GPH (gallons per hour) we need to review what is GPH. 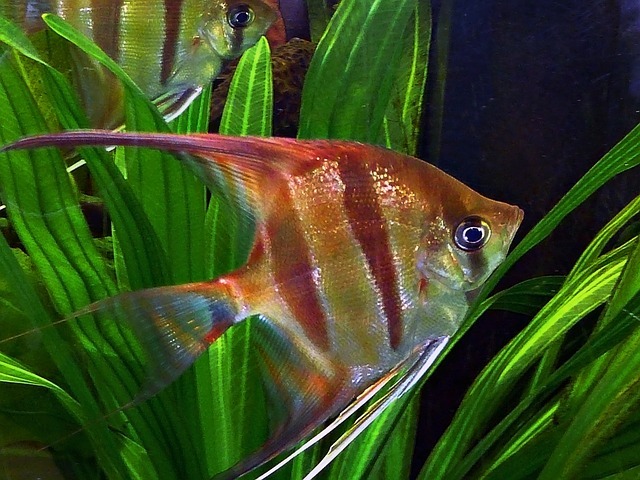 Most aquarium water pumps on the market are rated for how many gallons of water they can move per hour. This rating is based on the pump moving the water without any change in elevation, which means the pump and the water outlet are at exactly the same elevation. If the pump and the water outlet are at different elevations then the amount of water the pump can move will be a fraction of its rated capacity. For this reason, you should not expect to get the full capacity of a pump in most situations. In order to get a proper measurement of your pumps flow rate under normal operating conditions, you will need to test it. To do this you will need a bucket filled with 3 to 5 gallons of water, and you will need to attach all the plumbing and equipment you plan on using, and you will also need to situate the pump in its final location. Once you have the pump and all the plumbing set up, you can pump the water out of the bucket and then measure how long it takes for the pump to move a given amount of water. For example, if the pump moved 3 gallons of water in 30 seconds then your pump has a real-world flow rate of 360 (gallons per hour). Once you know how many gallons per hour your pump actually moves you can then calculate your aquariums turnover rate. For example, say your pump has a real flow rate of 360 GPH, and you have an aquarium that holds 55-gallons of water. Then all you have to do is divide 360 by 55 to get your turnover rate which in this case is 6.54, which means you will be turning over your tanks water 6.54 times an hour. Another aspect that can play a role in how large of a pump you will need is if it is internal or external. Each type of pump has pros and cons which we will go over in the following section. 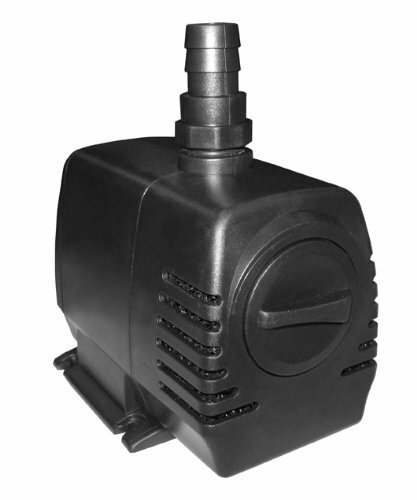 An internal submersible pump is as the name implies placed in the water inside an aquarium. An internal pump usually doesn’t need to be as powerful as an external pump since they usually don’t have to move the water up a steep elevation. For the most part, the greatest elevation change an internal pump will have to deal with is the height of the tank in most situations. Since an internal pump won’t have as much resistance on its flow rate, you can trust that the rated capacity will be close to its actual flow rate when it is in operation. 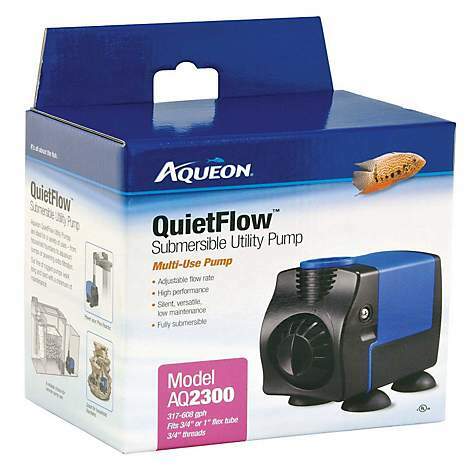 Internal pumps are a good choice for less complicated aquariums where you need a cost-effective pump that will provide the most flow per dollar. The only downside is that they do take up some space in the aquarium, and some people don’t like their aesthetics. 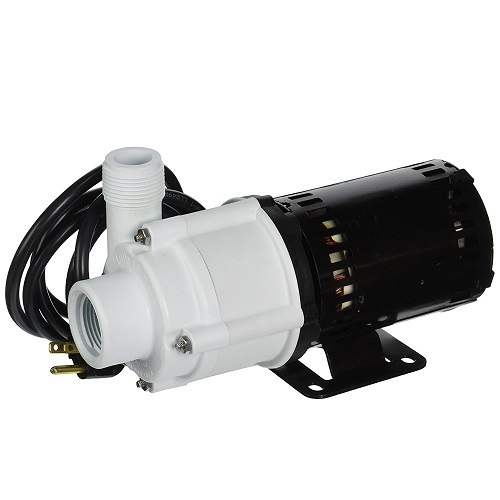 External pumps are for the most part used in larger aquariums since they are usually more powerful, and they can be used to drive a number of systems. Even though external pumps are usually rated to move large amounts of water, their placement outside the tank can reduce their rated capacity significantly. Even in a hobbyists tank, an external pump will usually be located in the tank stand, which will introduce an elevation change of at least double the height of the tank. 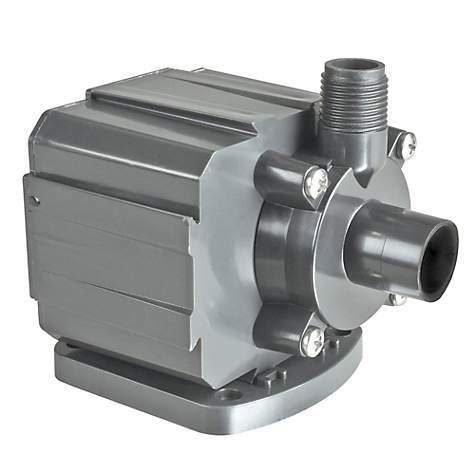 This added elevation can reduce the flow rate of an external pump by almost half if the elevation change is around 4-5 feet. What this means is that you might need an external pump that has more than double the flow rate your tank needs in order to properly turnover all the water. Having the pump outside of the tank does come with some benefits though. First, an external pump can be connected to a wide range of equipment like sumps, canister filters, and refugiums. They can also be hidden behind a wall in order to isolate them from a living environment. 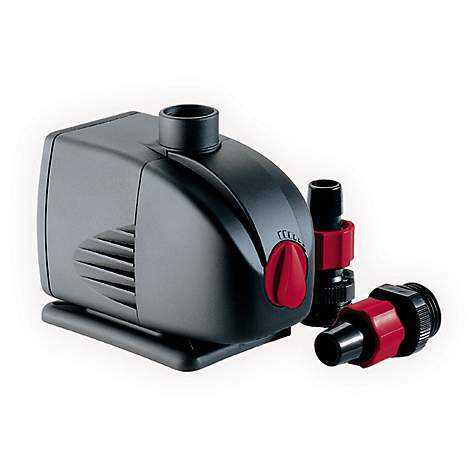 External pumps can also be connected to complicated plumbing systems that can be used on multiple tanks or to help automate water changes. A 55 gallon freshwater aquarium will need a pump with a flow rate of at least 275 GPH (gallons per hour). A planted 55 gallon aquarium should use a pump with a flow rate of 220 GPH. If you have a saltwater 55 gallon aquarium, then you will need a pump with a flow rate of at least 358 GPH to properly circulate the water. 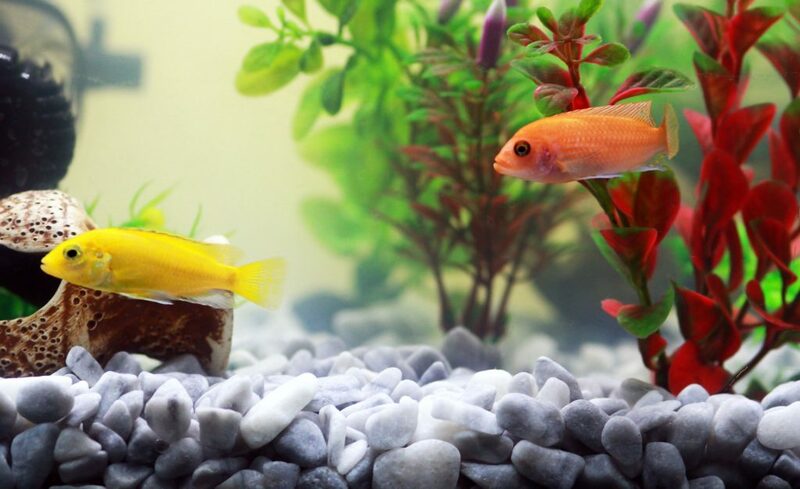 A 75 gallon freshwater aquarium should use a pump with a rated flow rate of at least 375 GPH (gallons per hour). A planted 75 gallon tank, on the other hand, will only need a pump that can output 300 GPH. 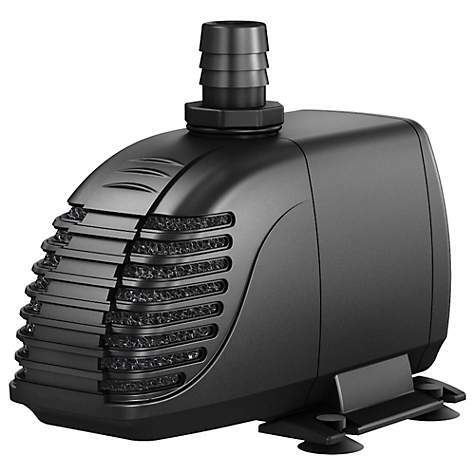 A 75 gallon saltwater tank will need a pump that has a flow rate of at least 488 GPH. A 90 gallon freshwater aquarium will need a pump that has a minimum flow rate of 450 GPH (gallons per hour). A planted 90 gallon tank can get away with a pump that has an output of 360 GPH. A saltwater 90 gallon tank, on the other hand, will need a pump with an output of at least 585 GPH. 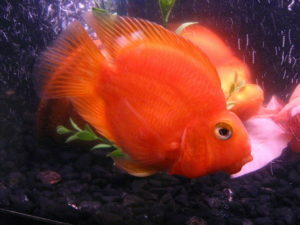 A large 125 gallon freshwater tank will need to use a pump that has a flow rate of at least 625 GPH (gallons per hour). A planted 125 gallon tank will only need a pump that has a flow rate of 500 GPH. A 125 gallon saltwater aquarium should use a pump that has a flow rate of at least 813 GPH. A 150 gallon freshwater aquarium should use a pump with a flow rate of no less than 750 GPH (gallons per hour). If you have a planted 150 gallon aquarium you can get away with a pump that only has a flow rate of 600 GPH. A saltwater 150 gallon aquarium, on the other hand, will need a pump that has a flow rate of 975 GPH at a minimum.